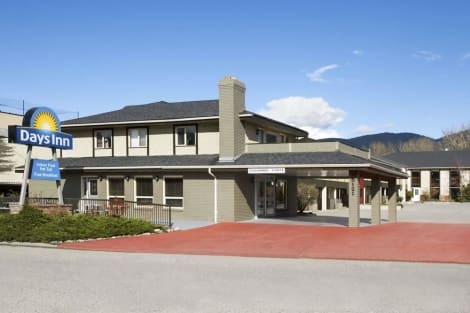 Located in Vernon, Days Inn by Wyndham Vernon is on the riverwalk, a 1-minute drive from Village Green Centre and 6 minutes from Polson Park. 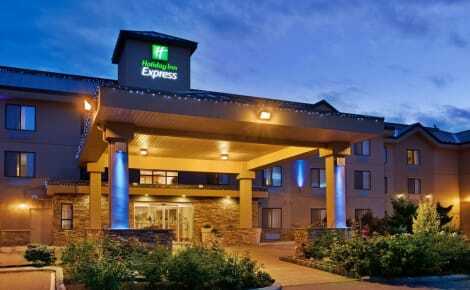 This golf hotel is 13.8 mi (22.3 km) from Silver Star Mountain Resort and 3 mi (4.9 km) from Hillview Golf. Featured amenities include a 24-hour business center, express check-in, and express check-out. Planning an event in Vernon? This hotel features 1550 square feet (144 square meters) of event facilities. Free self parking is available onsite. Located in Vernon, Best Western Pacific Inn is a 4-minute drive from Village Green Centre and 6 minutes from Polson Park. This hotel is 14.1 mi (22.7 km) from Silver Star Mountain Resort and 2.8 mi (4.4 km) from Planet Bee Honey Farm. lastminute.com has a fantastic range of hotels in Vernon, with everything from cheap hotels to luxurious five star accommodation available. We like to live up to our last minute name so remember you can book any one of our excellent Vernon hotels up until midnight and stay the same night.